My colleagues and I always go out for lunch. 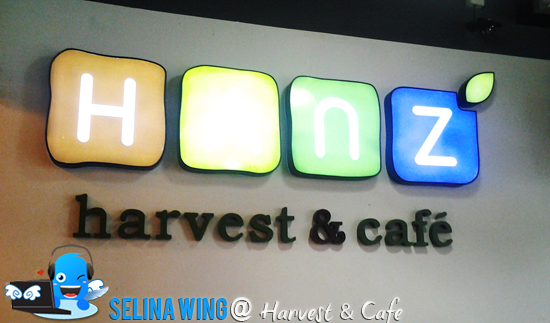 We found out new restaurant, "Hanz Harvest & Cafe", they tried to make this environment place, like simple and clean but, the custromers can see the fresh fruits inside the cool machine at outside their restaurant. You can buy the fresh fruits at their small market. 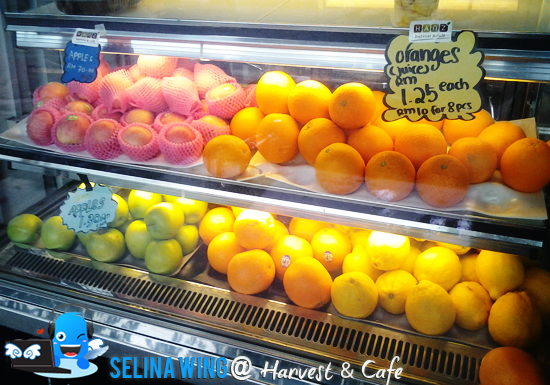 They also use the fresh fruits for the customers who can drink the juices, its healthy and better taste! 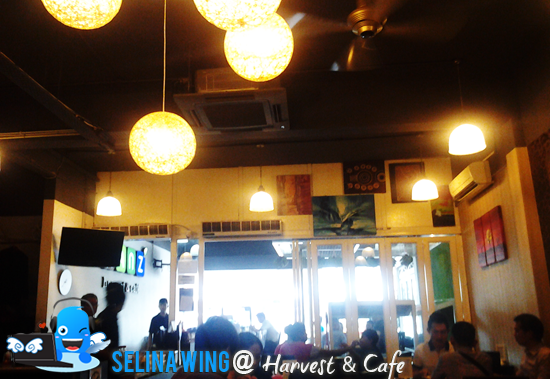 The promotion for Lunch (Mon- Sunday, before 3pm): Western, less RM 10 - Hanz BBQ Chicken Chop, Rose-a-merry Chicken chop, Mushroom chicken chop. Local, less RM 9 - Sweet & Sour Chicken with Rice, Hanz Butter Milk Chicken with Rice, Cantonese Fried Yee Mee, Tom Yum Chicken (Soup) with Rice. Choices: Fruit Juice or Coke. 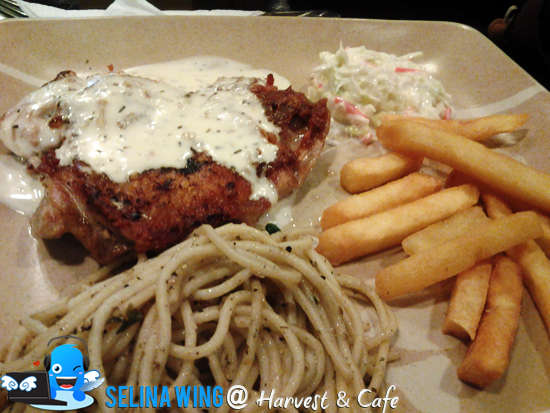 I recommended that the western chicken chop - Rose-a-merry Chicken Chop is very BEST! 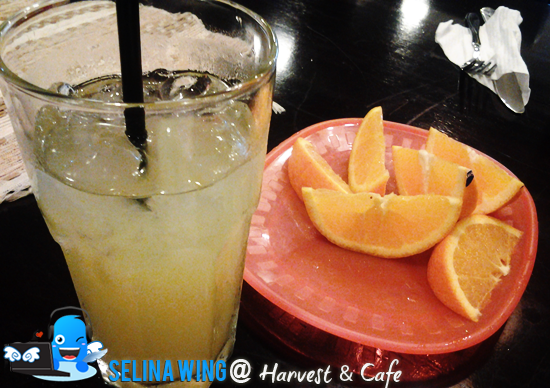 While we are waiting for their chicken chop, we given FREE fruit juice, and oranges! We also enjoyed to talk each other. :D My colleagues and I really love it!